Seeking Alpha - Are SA Articles a Resume Booster? This article discusses whether Seeking Alpha articles can be used as an effective resume booster. Home › Resources › Careers › Resume › Seeking Alpha Login For a Resume Boost? Contributors can publish paid or unpaid articles, depending on whether or not they are exclusive to SA. There is a huge range in the quality of articles published on Seeking Alpha. There is no minimum requirement to become an author. Authors simply log in, write an article, and submit it to the publishers for review. There is a quality threshold that has to be met, but the individual does not have to any specific level of experience, specialized knowledge, or training. SA articles can be a good starting point to get some preliminary information on a stock. They are also good for gauging broader market sentiment (i.e., what the crowd is thinking). How can Seeking Alpha be used to boost my resume? Despite the variability in the quality of articles, Seeking Alpha can be a great way to add some interesting experience to your resumeInvestment Banking ResumeInvestment banking resume template. 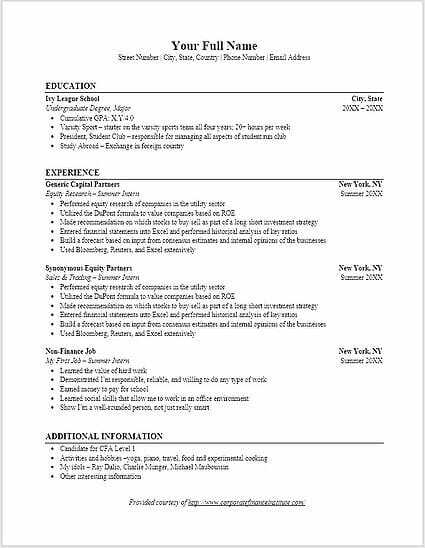 Learn how to write an investment banking resume (Analyst or Associate) with CFI's free guide and resume template. The IB resume is unique. It’s important to tailor your resume to the industry standard to avoid being immediately deleted and help you network as well. Taking the time to register a Seeking Alpha login, perform research, write an article, and have it meet the quality threshold to be published demonstrates initiative and passion, as well as some level of investment expertise. Once you have an article published and add it to your resume, it can be a great discussion point when networking with industry professionalsHow to get a job in investment bankingThis guide will outline how to get a job in investment banking using out top three tactics: networking and resume, interview prep, and technical skills. This guide is based on my firsthand experience of what is the most effective way of how to get a job in investment banking.. Imagine the impact of telling them that you wrote an article on stock X and want to know whether they agree or disagree with you on it. How else can I boost my finance career? Career Map where you can explore various job paths. The best way to stand out in a hiring process is by having all the necessary skills and experience they are looking for. While we can’t offer you direct work experience, our interactive courses are very hands-on and will give you all the technical skills you need.